Whether it be a parent, grandparent, child, or best friend, losing a loved one is a life-changing event, and the grief that follows can be difficult to navigate. However, as Helen Keller reminds us in the quote above, when people who we have deeply loved pass on, they are never truly lost. Keeping his or her spirit alive in creative and meaningful ways can ease the pain of loss and help us remember the physical features and unique personality that made our loved one who he or she was. Maybe it’s the way your grandfather lovingly looked into your grandmother’s eyes that you wish to hold on to and remember. Or perhaps it’s how your daughter’s dimples showed when she smiled. If you’re looking for a meaningful way to keep the memory of a loved one alive and thriving, a beautiful and custom memorial portrait is a wonderful way to do so. At Paint Your Life, we help our customers process their grief and creatively memorialize a loved one through the simple yet detailed creation of custom hand-painted portraits. 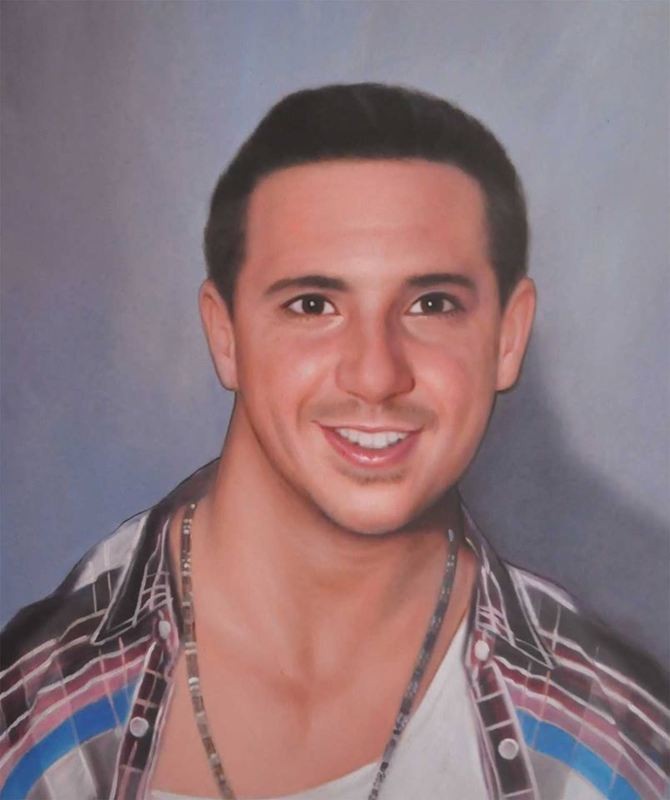 After selecting a photo of your loved one (on your own or with others), one of our talented and professional artists will create a portrait that can be hung in your home or gifted to others. 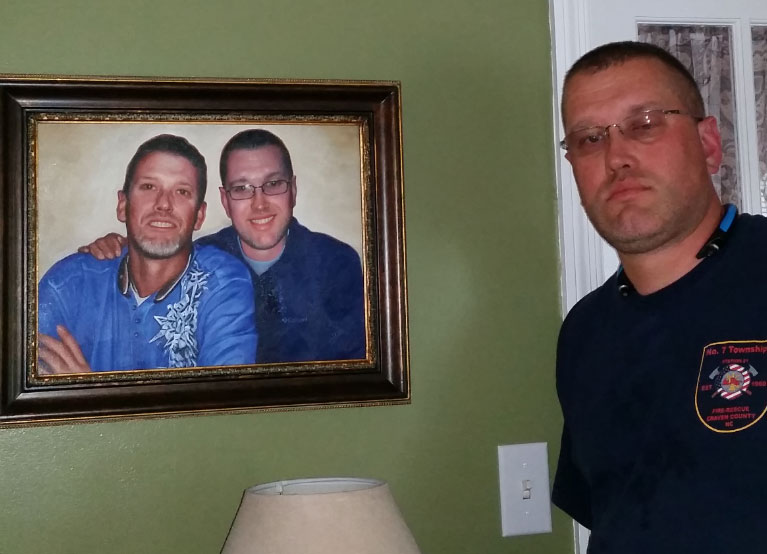 Receiving customer testimonials and stories has proved to us just how special the creation of a memorial portrait has been in the healing process. Read the testimonials below to see how five of our customers have used these artistic portraits to honor the memory of their loved ones. 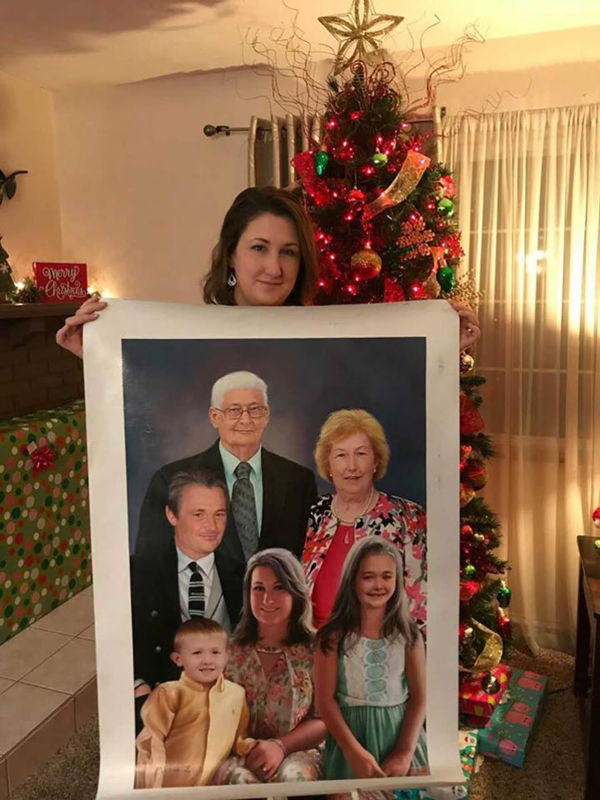 Our customer Felicia gave her father (and herself) the perfect piece to remember her grandmother. Including her daughter in the memorial portrait added a sentimental and multi-generational dimension to the creative remembrance—absolutely beautiful and thoughtful. Losing a child is never easy, just as losing a sibling isn’t easy. When our customer Lois transformed a photo of her twin sons into a hand-painted portrait, she did more than give a thoughtful present to her surviving son…she also brought a beautiful relationship and moment in time to life. As our customer shared, losing family members and realizing that you don’t have specific photographs of them after the fact can be a regret for many. With custom hand-painted memorial portraits, you can request that an artist creates a scene that may not have existed in photo form. Often, children who lose a parent grieve for the loss of a host of future memories and moments they will never share with a mother or father. Helping grieving children remember the times they did share with a deceased parent can be one of the most meaningful gifts you can give them. If you know a parent who’s recently lost a child, you may question the act of giving something that reminds the parent of whom he or she has lost. 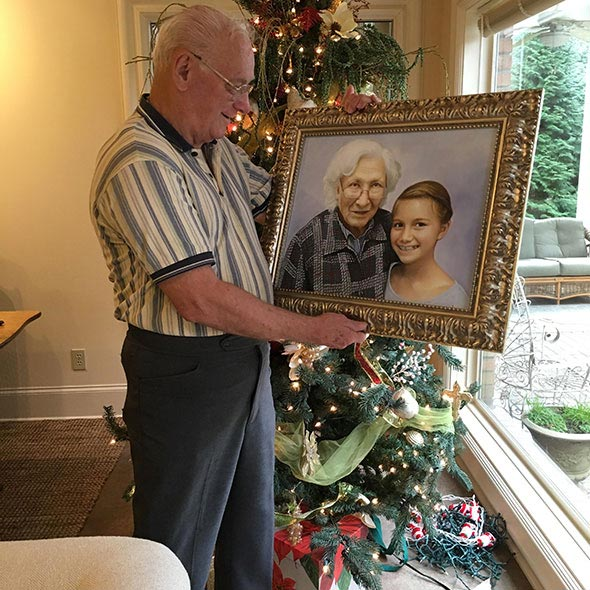 However, gifting a memorial portrait actually often reminds him or her of the times when a child was alive—and that is a gift to look back on fondly. 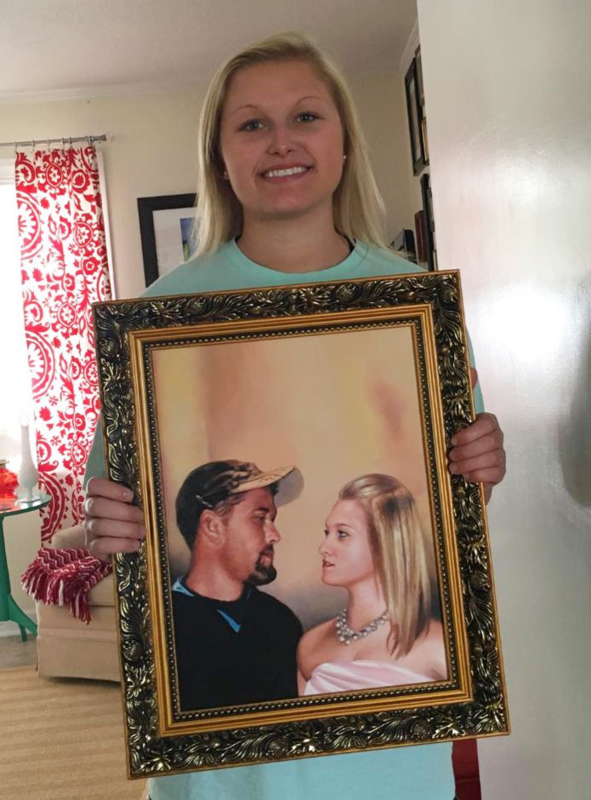 Whether you’re looking for a way to remember a loved one that has passed on or a gift for a grieving family member or friend, a hand-painted portrait is the perfect idea that many have appreciated. We now invite you to go browse our memorial portrait gallery to see more examples of beautiful portraits before placing your own order.